Klipsch Commercial Sound Systems provide robust, full range sound for an unforgettable listening experience. The Klipsch KI-396-SMA-II has incredible output capability with exceptional low-distortion clarity. 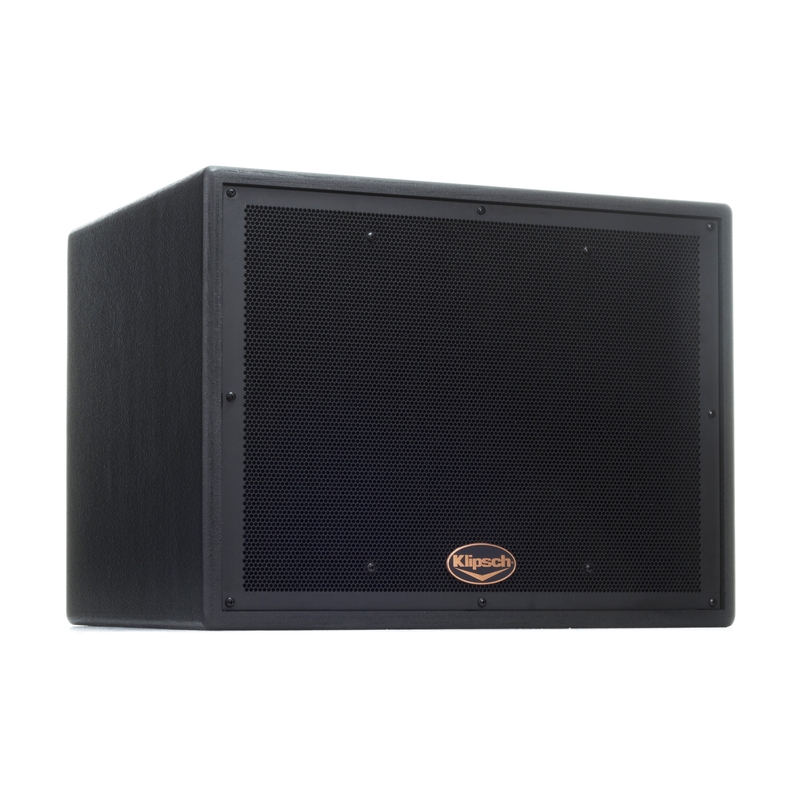 The compact 22.5° symmetrical, trapezoidal design houses a 15” high-excursion cast frame heavy-duty woofer, a large 3” titanium high-frequency compression driver and a 90°x60° Tractrix® "Mumps" Horn. These horns exhibit improved coverage control than earlier generations of Tractrix Horns. The KI-396-SMA-II permanent install speaker has 16 suspension points (4 per side) for flexible mounting and rigging bar compatibility and includes an internal high current full-range crossover. The KI-362-SMA-II three-way trapezoidal array-capable (sixteen built-in 3/8” 16-thread fly points) loudspeaker is a value-engineered compact Tractrix® Horn-loaded system capable of superior performance in both permanent installation and production environments including theaters, auditoriums, music clubs, houses of worship, and A/V production environments. To permit use at any mounting angle the KI-362-SMA-II’s midrange and high-frequency drivers are adjustable in 45° increments allowing 60° or 90° projection patterns to be chosen independent of the vertical horizontal or lateral orientation of the enclosure. The KI-272-SMA-II two-way, multi-angle loudspeaker is a high power solution for limited space installations, where angled mounting is required. It’s perfect for angled wall, corner, ceiling, oblique angle projection or under-balcony mounting in theaters, clubs, churches and schools. Able to hang using 12 built-in 3/8” 16-thread fly points, the KI-272-SMA-II provides the performance and reliability for which Klipsch is known. 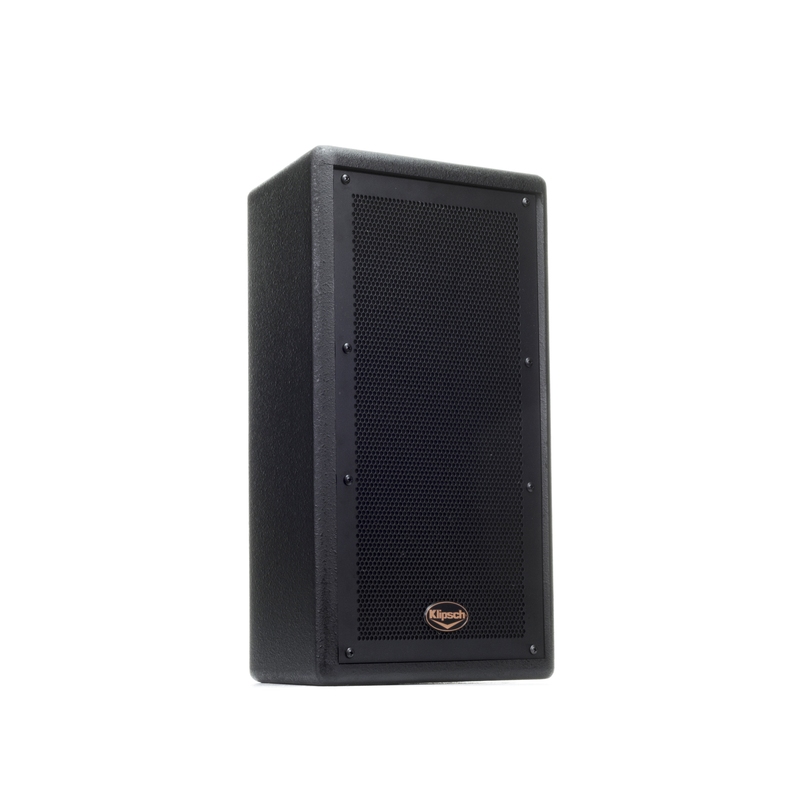 The KI-262-SMA-II two-way trapezoidal loudspeaker is ideally suited for applications where small size uniform power response and ease of installation contribute to a quality sound solution. The Tractrix® Horn- loaded KI-262-SMA-II is recommended for use in theaters, auditoriums, clubs, churches, and A/V production environments. Able to hang using 16 built-in 3/8” 16-thread fly points the KI-262-SMA-II provides the coverage control, fidelity, and reliability expected of Klipsch professional loudspeakers. The plywood enclosure uses dado “lock-joint” and rabbet construction techniques on CNC- fabricated panels for long-term reliability and ruggedness. The KI-215-SMA-II trapezoidal array-capable (sixteen built-in 3/8” 16-thread fly points) subwoofer perfectly complements Klipsch’s high power full- range loudspeaker systems. 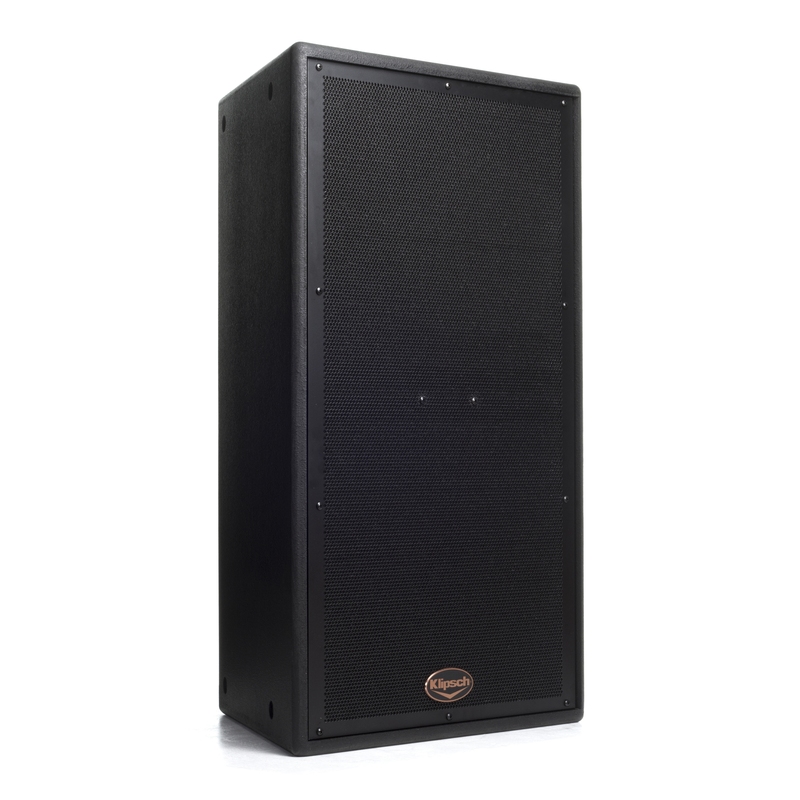 The KI-215-SMA-II’s enclosure dimensions and rigging configuration are identical to the KI-362-SMA-II full-range professional loudspeaker system, making it an ideal match when using an external, active two-way crossover. Its highest-quality heavy-duty drive components use 104-ounce magnets and 3” voice coils as well as proprietary speaker motor assemblies to deliver high sensitivity and advanced power handling capabilities. Ideal for clubs, theaters, auditoriums, churches, and performance halls the plywood construction tuned port enclosure applies CNC fabrication techniques for uniform tolerances and build reliability. The KI-172-SMA-II is a compact, two-way, high performance loudspeaker with sides slanted at 65° and 45°. Designed to be installed where placement at an angle is required and space is limited, the KI-172-SMA-II is perfect for wall, ceiling or under-balcony mounting in theaters, churches, schools and clubs, or for slanted floor or shelf monitor use near altars and podiums, or in board and meeting rooms. The 3/4” MDF enclosure uses dado “lock-joint” and rabbet construction on CNC-fabricated panels to ensure resonance-free response and long-term reliability. The internal high-current passive crossover features the proprietary high-power thermal overload KLIP- circuit, which limits potential damage to the high-frequency driver. Mounting capabilities include top and bottom attachments for the optional SB-102 "U"-shaped bracket. 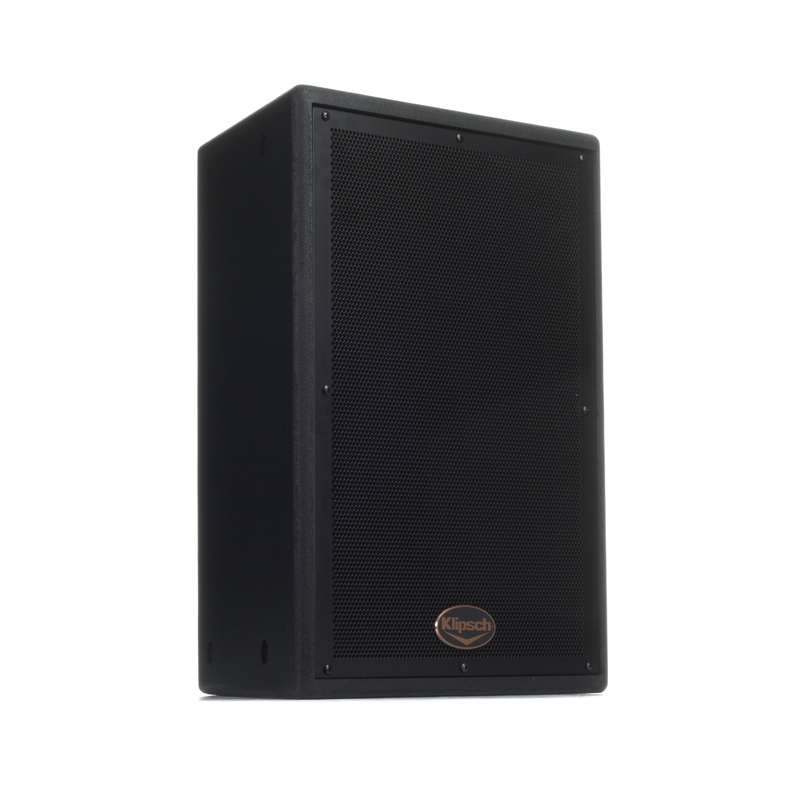 The KI-102-SMA-II is a compact two-way trapezoidal loudspeaker system capable of superb voice and music performance in permanent limited-space installations. It is recommended for use in restaurants, clubs, schools, churches, health clubs, and corporate A/V production environments where fidelity requirements are high but real estate is limited. The KI-102-SMA-II features a hybrid Tractrix "Mumps" Horn. These horns exhibit improved coverage control than earlier generations of Tractrix Horns. 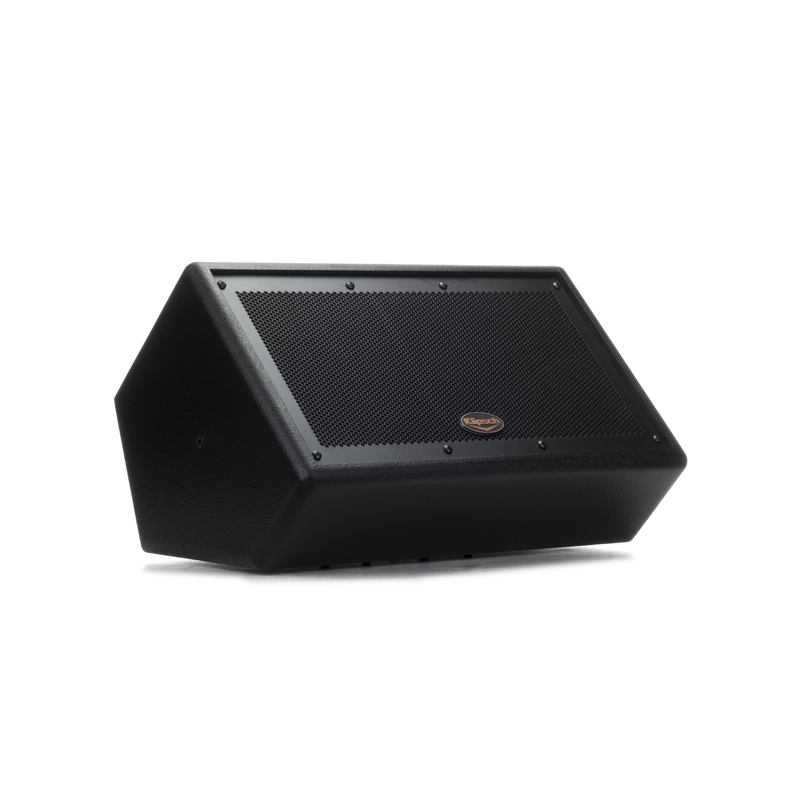 Designed for high output, long-term reliability, the Klipsch KI-115-SMA-II low frequency enclosure utilizes a single K-48-ST cast frame 15” woofer. This 104-ounce magnet, 3” voice coil powerhouse delivers high sensitivity with superior power handling. Klipsch’s specially designed speaker motor assembly ensures that high transient cone excursions won’t damage the voice coil former under extreme output applications. Perfect for music reinforcement and reproduction, the KI-115 finds ready application in clubs, theaters, auditoriums, churches and performance environments. The rugged, tuned port, 3/4” furniture grade plywood enclosure utilizes CNC fabrication techniques for uniform tolerances, contributing to advanced reliability and ruggedness. Dado “locktab” and rabbet joint construction contribute to freedom from resonance and cabinet-induced coloration. The KI-115-SMA-II utilizes four 3/8"-16 suspension points, located on the rear of the enclosure, to support suspended applications in a "face-down" orientation.